We are an engineering service provider catering to HVAC industry. 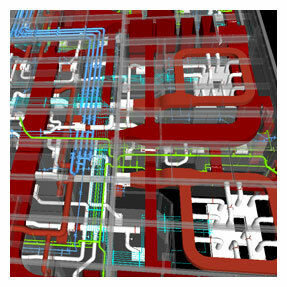 We offer comprehensive solutions in CAD drafting and BIM (Building information modeling) with unmatched quality. We have successfully tackled the greatest challenges of our clients to meet their requirements by ensuring quality and partnering in their drive for innovation.We have executed many major projects in US, Canada, Australia, Europe and the Middle East. With a highly experienced resource pool in pre-construction and engineering, We assure high value of quality, reliability, transparency, cost effectiveness and timeliness. Our workforce comprises a variety of skilled individuals which include CAD drafters, detailers, modelers, civil, electrical, mechanical engineers, analysts, quality checkers, business managers, all with extensive knowledge in the construction industry. Dedicated and uncompromising efforts of our expert professionals have helped us to achieve a remarkable position in CADD services industry.